When we read the proposals in the Farrell Report regarding PLACE review our first reaction was to say, ‘We already do that!’ MADE and the other members of the Design Network we have been doing design review in the regions for at least seven years. We have always tried to make our reviews multidisciplinary and a positive experience for all those involved. Design review is often caricatured as a confrontational critique narrowly focussed on architecture. Maybe that was what design review was about when it started off in the old gentlemen’s club that was the Royal Fine Art Commission, and perhaps when CABE was running the national design review panel some of the starchitects on the panel could get a bit uppity and give the presenters (particularly those from outside London) the idea that they were being summonsed to the Spanish inquisition, but for all the time we have been running design review we have been trying to make it broad in scope and friendly in spirit. On reflection we can see what Farrell told us is that Design Review is still stuck with that negative image among some in the industry and that we need to constantly review the way we deliver the service to make sure the are really effective in raising standards, helping people to realise their projects and creating better places. Does that need a rebrand as PLACE review? 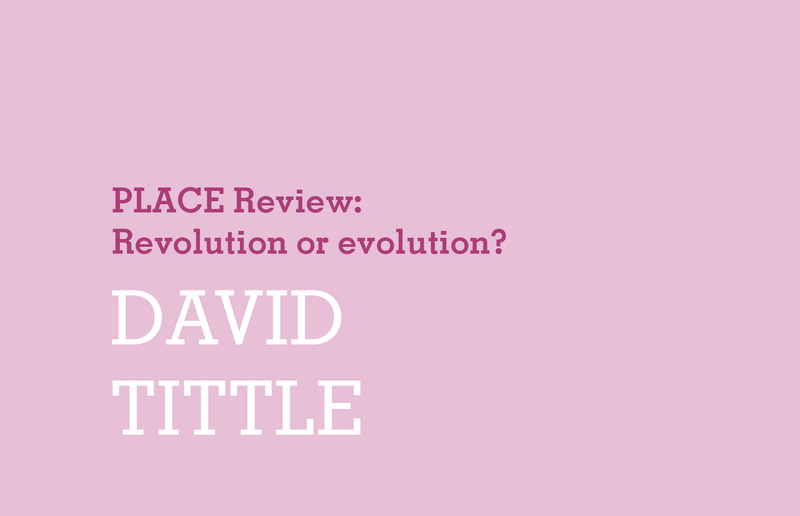 Maybe, but perhaps PLACE review is a term we should use to distinguish good design review from bad. The Design Network has been in discussions with the RIBA about how, among the plethora of local design review panels (particularly across the South of England), we distinguish between those just set up to satisfy certain people’s desire to sit in judgement on their peers and those that are truly independent and professional (truly PLACE review panels). Of course any discussion of design is better than none, but while the National Planning Policy Framework and the Planning Policy Guidance promote (indeed require) the use of design review they do little to define it, or to distinguish between independent, authoritative design review panels and groups people sat in a room critiquing a scheme. We want to get the other professional bodies on board so that developers, designers and planners know that when they go to design review they will end up with a report which has clout and, for example, could stand up to scrutiny at a planning appeal. Design review has evolved in its 50 year history and it will continue to do so. The worst thing about running design review services are the instances where your advice is ignored, either because people do not really respect the process or more often because decisions have already been made which are difficult to un-make. That is why Design Network members are increasing looking for opportunities where design review can be seen as part of a process of support to design development. Such processes typically kick off with a design workshop, looking at the site, evaluating its potential and constraints and establishing a framework proposal and design objectives. During such workshops the glass wall between panel and scheme proposers is removed and the felt pens can come out on both sides. This can be followed by regular support to design teams to ensure that the potential of the site is realised to the benefit of all parties. In such a process design review represents punctuation points, a chance of the design team and their advisers to take stock and get an independent view. We are pleased that Farrells have asked us to take the PLACE review recommendations forward. Despite the NPPF and all our efforts to sell the benefits, take up of design review is still disappointingly low. Under the banner of PLACE review and in response to the challenge that Farrell has set, we will be trying to bring all the major players together to agree on a quality standard for design review, a framework in which the future evolution of design review can be discussed and agreed and a strategy to ensure much more widespread take-up.